There is little wonder that Victoria’s capital is consistently voted the most liveable city on the planet. 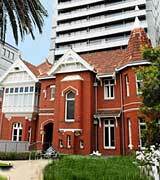 For a start, it is an effortlessly stylish and beautiful place to be; its classic Victorian architecture stands shoulder to shoulder with sleek modern design creating a stunning twenty-first century skyline. Melbournians are, understandably, fiercely proud of the social and cultural mix that the city offers. The labyrinth of laneways that sprawl between the main thoroughfares of the CBD are lined with specialty cafes, bars, restaurants, boutiques and galleries. The parks and gardens, each with their own character, add yet another dimension to an already wonderfully textured community as well as the different feel that you get as you wander through each suburb or quarter. This all creates a lifestyle and a mindset that is so easy to slip into and all too difficult to leave. 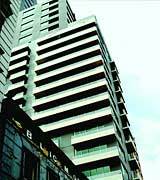 Melbourne Hotels & Accommodation Directory provides a range of accommodation choices with the aim of helping travellers find accommodation to match their budgets and needs. 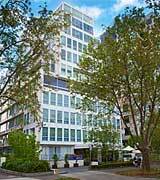 If you're looking for places to stay in Melbourne that offer family accommodation or full cooking facilities, you may find what you are looking for in the Melbourne Apartments section. 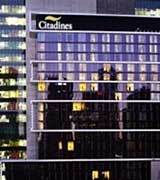 If you are looking for first class business services or hotels with executive meeting rooms, try the Melbourne Business Hotels section. 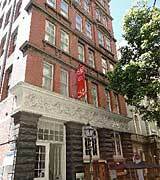 SUGGEST A MELBOURNE HOTEL FOR ME and we'll suggest a hotel (or hotels) that best meet your requirements. 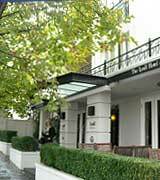 The Lyall Hotel is a privately owned and operated, 5 star, boutique hotel in trendy South Yarra. 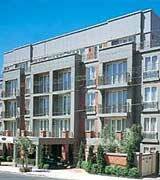 The 40 suite hotel offers luxurious hotel services and facilities on a small, personal scale. The hotel's interior and private suites are tastefully decorated with quality materials and designed with an understated contemporary oriental flavour. 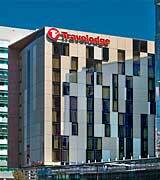 Travelodge Docklands is located in the waterfront Dockland precinct in Melbourne's CBD. The hotel is adjacent to Southern Cross Railway Station while the Casino, shopping and dining areas on the South Wharf are only a short walk away. The Exhibition and Convention Centre and close as well. For sports and entertainment lovers, Travelodge Docklands is practically next door to Etihad Stadium making the hotel an ideal base for matches and events held there.